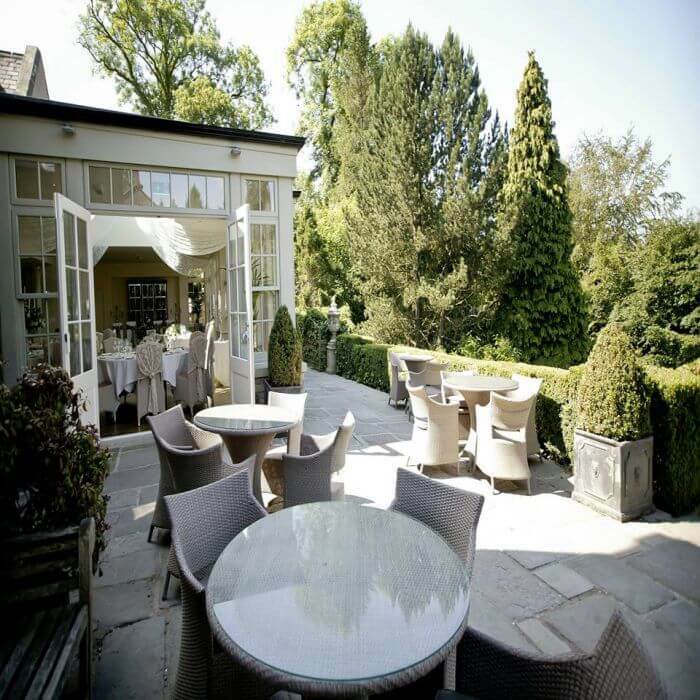 Chic country house hotel in the heart of Lancashire’s Ribble Valley. Popular for weddings. 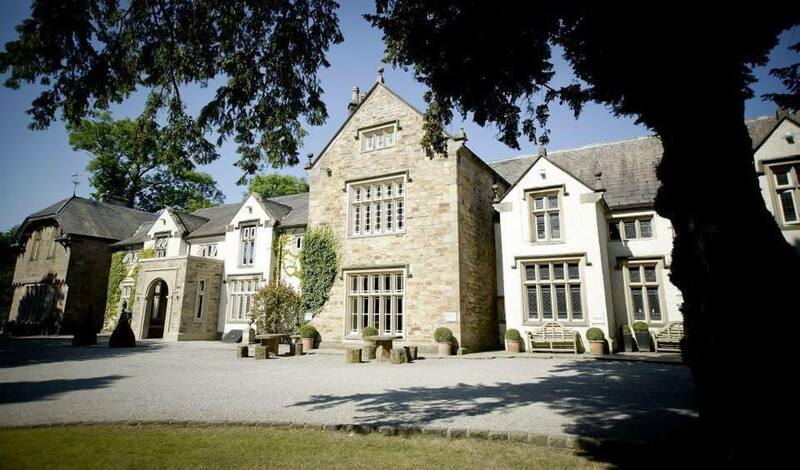 Dating back to 1497, Mitton Hall is beautifully situated in the heart of the Ribble Valley near Whalley. This is country house chic as it should be with a cool, calm and confident atmosphere and amazing interior design, including the 18 beautifully designed bedrooms ranging from four-poster suites to modern, superior doubles. 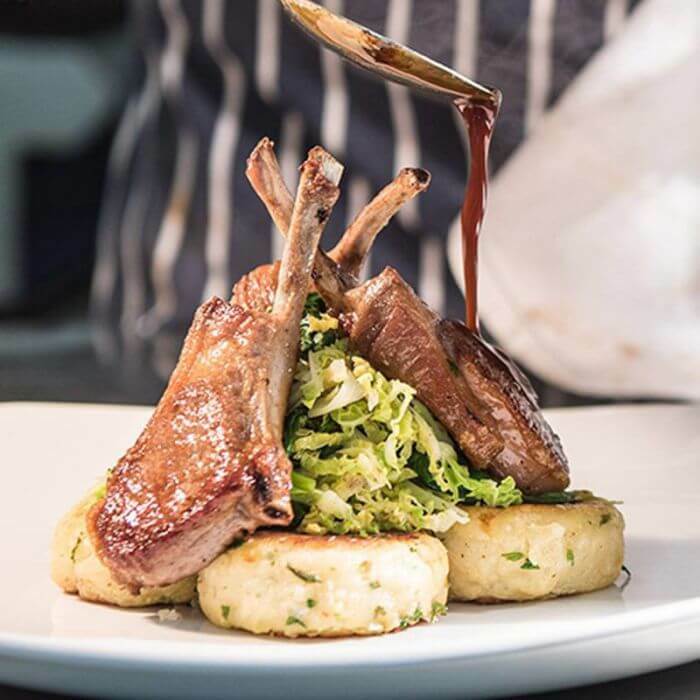 The Brasserie at Mitton Hall offers a choice of a la carte, table d’hote and Sunday lunch menus showcasing dishes with a real international flavour. Alternatively, you can choose from tapas-style deli dishes served in the bar and lounge which are ideal for sharing. In summer, make the most of the riverfront terrace. 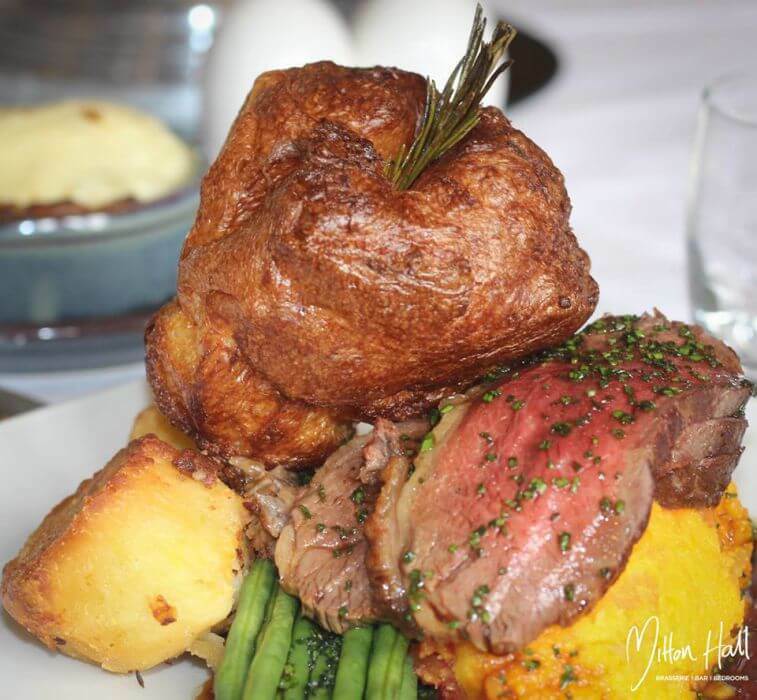 There are also private dining facilities for between eight and 30 and Mitton Hall is a very popular wedding venue. I recently dined at this beautiful establishment and it was superb. The Place is drop-dead gorgeous with roaring log fires and lovely traditional charm balanced with modern luxurious touches. Loads of comfy settees and also a very classy restaurant. Also worth noting were the beautiful toilets - I always judge a place on its toilets! We dined off the Table d-hote menu which was two courses plus a glass of champagne for a great £20! 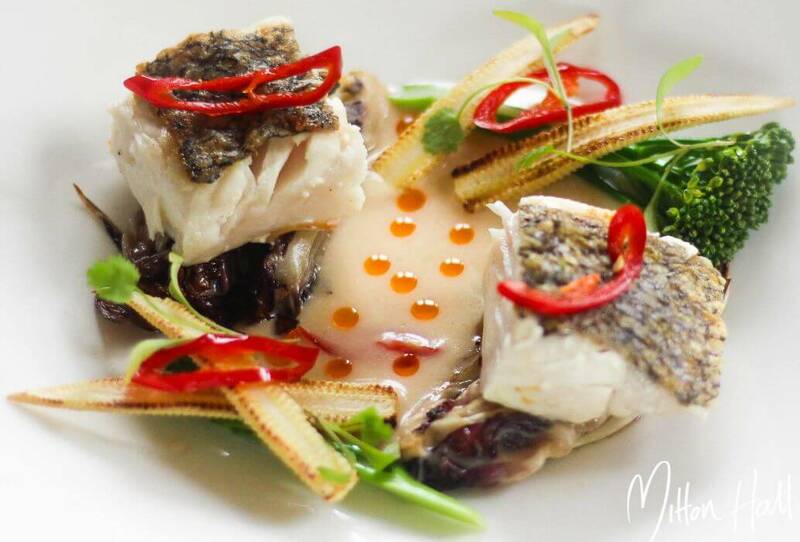 The food was beautiful, very nicely presented and staff very attentive. One slight gripe is that they failed to cook my beef well- done as I had asked (how hard is this??!) but I experience this wherever I go and they did do it again and it was almost perfect! A definite place to go if you want a classy and luxurious meal in beautiful surroundings. Very poor service let Mitton hall down for me and my wife - the food was ok, although pricey. I complained and the (pompous) owner was very condescending to me, so I certainly won't be returning Must try harder in these hard times. 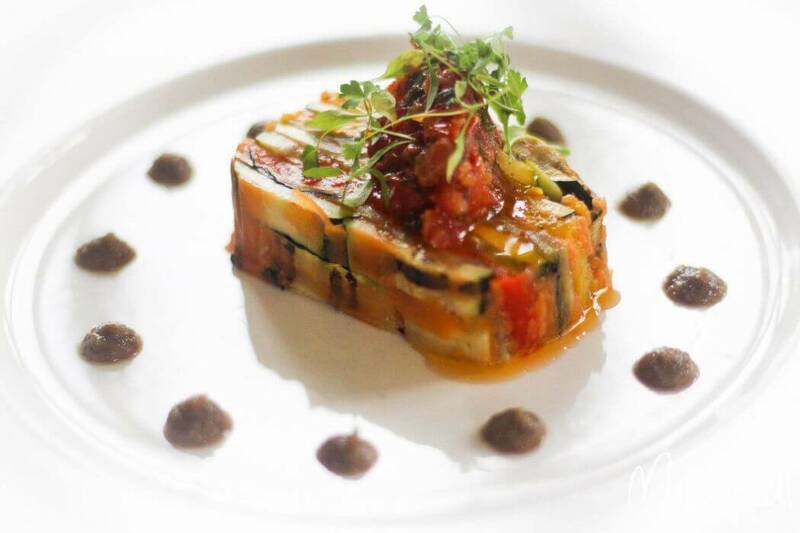 Mitton Hall is a terrific venue and the food does live up to the surroundings; yes, it's expensive, but stick with the tapas (take at least four plus a salad or something from the left-hand side of the menu!) and you will come away with change from £40. Would strongly recommend the Chicken Yaki Tori and Ouzi Yaki, but eat quickly; it never seems to stay warm for too long! Also worth trying is the belly pork and salt-and-pepper squid tapas. They will quite happily let you eat from the bar menu in the amazing main room - which holds many happy memories for me from the 'olde Stonehouse' days! An excellent venue, with superb staff. Had an excellent meal off the new Table d'Hote menu and enjoyed the free champagne. As for the price of the wines, as mentioned by 'Cc', there was nothing expensive about them at all. In fact, all the wines were available by the glass, which is not often seen, and the staff were very knowledgeable about the drinks. Its not often you get to drink a refreshing wine in a 15th century building next to a blazing fire! The barman told me that the wines are sourced from Byrne's in Clitheroe, which will be my next stop to pick up some of the excellent rioja! The surroundings are lovely and the food was good, however the wine by the glass was very expensive. We were not given a wine menu at the bar and we thought we had ordered housewine. The Pinot Grigio was £7.95 per glass and the Rioja £12.50 PER GLASS. As we are regular patrons of the restaurant, I emailed them with regard to these disappointing prices. I did not receive a reply. We enjoyed a very good meal in beautiful surroundings at Mitton Hall. The only negative was that the food was lukewarm. However we did decide not to sit in the restaurant which probably created the problem. Well worth a visit. I am particularly looking forward to returning on a icy winters day to enjoy the huge roaring fires! Mitton Hall has everything, visiting on Saturday after a friend suggested the place, with a group of friends we were astounded at the transformation. Welcomed at the front door, we were offered "Cheeky little cocktails" and "Big Fat Gin's" by our enthusiastic bottle throwing barman (our expectant friend was allowed a mineral water!) and our quiet waitress was wonderful and the whole atmosphere had a certain quality that gave the impression we were at a friend's house for dinner. The food in the Brasserie was of a standard far above expectations, and the smiling service continued. 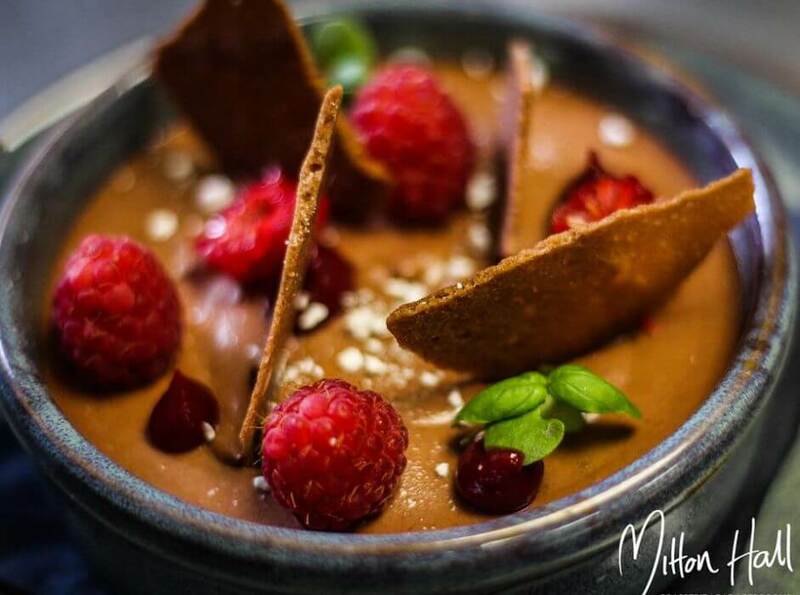 Whether it be the decor, the food or indeed the staff, visit Mitton soon. You will not be disappointed. The best Martini the other side of the Atlantic!, After a five minute discussion about the merits of Ian Flemming and the Italian's bringing vermouth to the States our fast talking barman made my husband his perfect martini, and a pussyfoot for myself. Dinner to die for, service with a smile, and free jokes! Forget formality and just enjoy! (special thanks to Andy and Heather) Absolutely loved it! Are we being looked after? That is how you are greeted at Mitton Hall, If not why not that is Andy's second question, we were offered dinner, drinks or a big fat gin! One could get easily mistaken for thinking we were at a friends house. I dare anyone to to find fault with what happens at Mitton from entry to exit. Wonderful food, excellent service (Katy? I think) but everything from G&T to Cappuccino you cannot fault. Brilliant! Thank Andy it's Friday! Ferrari, Aston Martin, Hummer and a sports Lotus in the car park, One could be mistaken for an expensive photo-shoot but this is just an average Saturday night at Mitton Hall (we were informed by our pony-tailed barman), The new revised menu and cocktails to order, whether on the list or not, were superb. Try something different this Saturday but book in advance, because you need to. Absolutely wonderful!! !